Klong Dao is the first beach at the north of Koh Lanta. Just go to Saladan town and ask for directions. There are a couple of surfshops around. Head to Koh Lanta Watersports on the beach, and you have Lanta Paddlesports@slowdown, just beside Time for lime. English (Traducir este texto en Español): Klong Dao is the first beach at the north of Koh Lanta. Just go to Saladan town and ask for directions. There are a couple of surfshops around. Head to Koh Lanta Watersports on the beach, and you have Lanta Paddlesports@slowdown, just beside Time for lime. A few peaks along the beach - just pick your spot. English (Traducir este texto en Español): A few peaks along the beach - just pick your spot. Thailand doesnt have epic waves but this spot is good by local standards. The lifestyle on Lanta is laid back and the waves good fun.The best waves are from April to November with the peak swell being June and July. There are a few spots still to be surfed and can be accessed by longtail. Nothing in Dec, Jan, Feb - unless you like a few inches.But good for SUP. English (Traducir este texto en Español): Thailand doesnt have epic waves but this spot is good by local standards. The lifestyle on Lanta is laid back and the waves good fun.The best waves are from April to November with the peak swell being June and July. There are a few spots still to be surfed and can be accessed by longtail. Nothing in Dec, Jan, Feb - unless you like a few inches.But good for SUP. Good fun waves in an uncrowded beautiful spot. Coming into the main season they are excellent for beginners and those who just like to cruise. English (Traducir este texto en Español): Good fun waves in an uncrowded beautiful spot. Coming into the main season they are excellent for beginners and those who just like to cruise. Loved it! - Some nice waves here at Koh Lanta - Klong Dao beach, it can get rough after a good storm, but generally fun for all levels. Indeed the waves aren't epic, but sooooo much fun =) With Koh Lanta Watersports surfshop you'll be able to rent a board for all conditions and if there's no waves you can wind/kite surf as well! The people there are really great, they'll help you out with anything you need! Recommended!!! 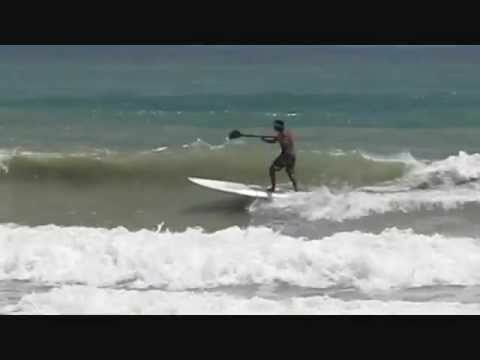 Surfing Koh Lanta - Klong Dao Beach - Hi! I visited Koh Lanta this year, which suprisingly, is a perfect spot for beginners. There is a left and right beach-break and no untertow. Furthermore, the beach and the sea is almost empty during low season (April-September), which are the best months for surfing.